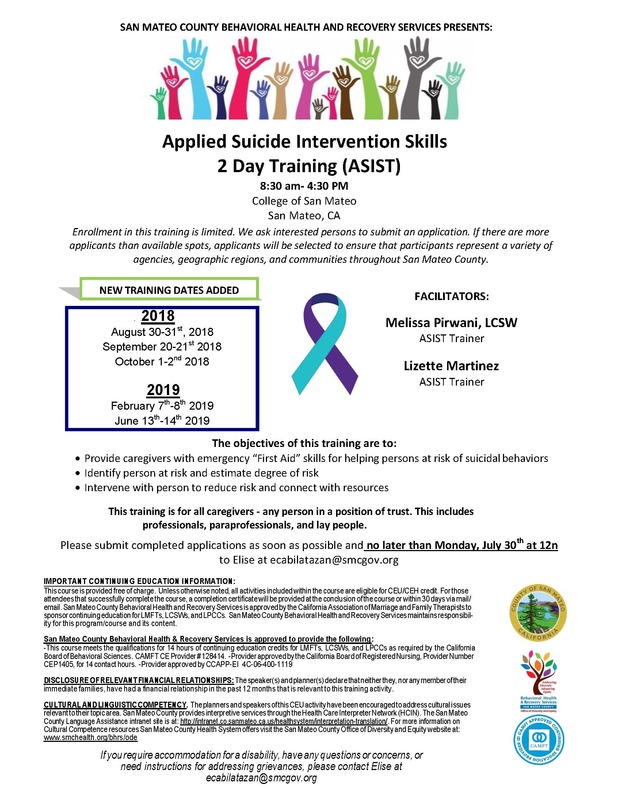 New Applied Suicide Intervention Skills Training (ASIST) dates are available. Applications are due Monday, July 30. Downlaod the flier.